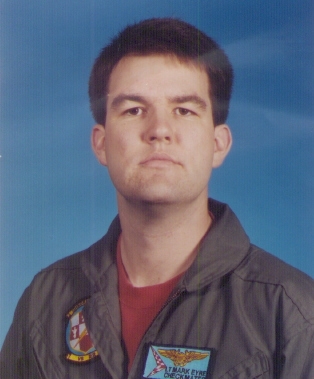 The class of 1990 would like to offer our condolences to the family of Mark Eyre, VMI Class of 1990. Memorial Services will be held at Arlington National Cemetery on Thursday, October 9th, 1997 at 10:30 AM. Everyone is to meet at the Administration Bldg. at Arlington and the service will proceed from there. A lunch is planned after the service. If you would like to attend please send an e-mail to Lalie Eyre at markeyre@aol.com. Please provide the number of people you expect in your party, so that lunch reservations can be planned. Mark was a member of a 4 man crew participating in anti-submarine manuevers with the Israeli Navy. On February 4, the aircraft went down with no survivors. Important Notice: Due to limitations of credit union rules, the memorial fund will only be in place until July. After that, the money will be put into a new account and the above address will change.